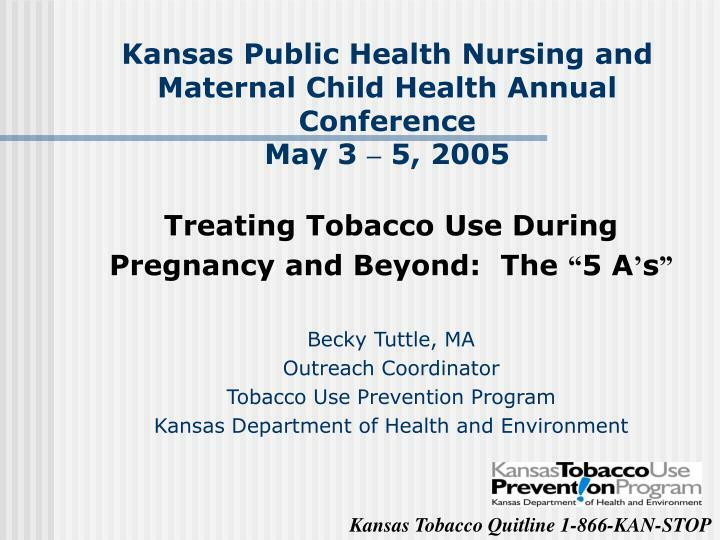 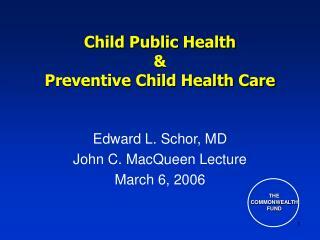 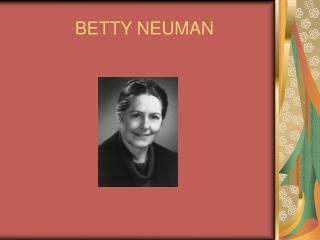 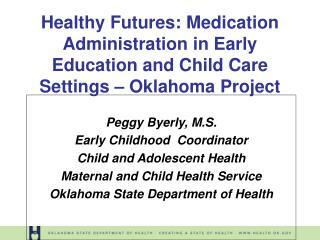 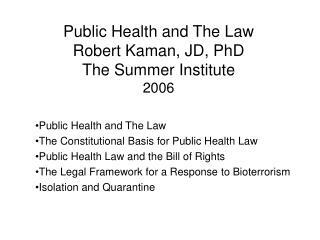 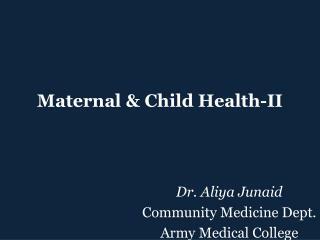 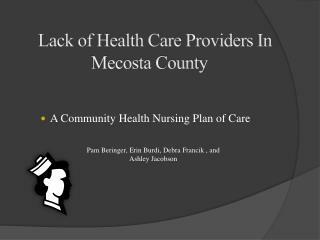 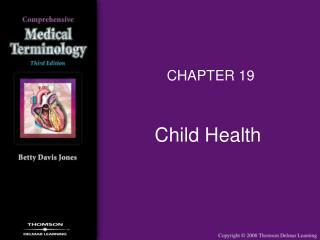 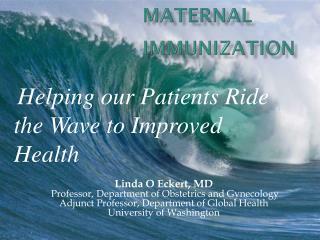 Kansas Public Health Nursing and Maternal Child Health Annual Conference May 3 – 5, 2005. 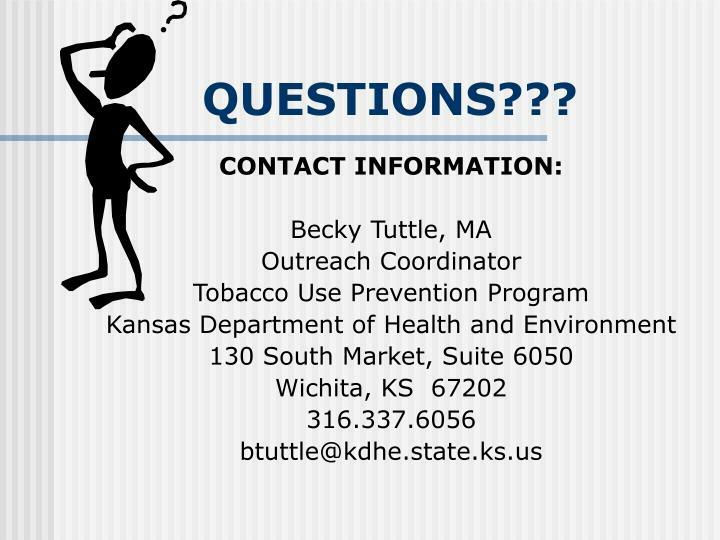 Treating Tobacco Use During Pregnancy and Beyond: The “ 5 A ’ s ” Becky Tuttle, MA Outreach Coordinator Tobacco Use Prevention Program Kansas Department of Health and Environment. 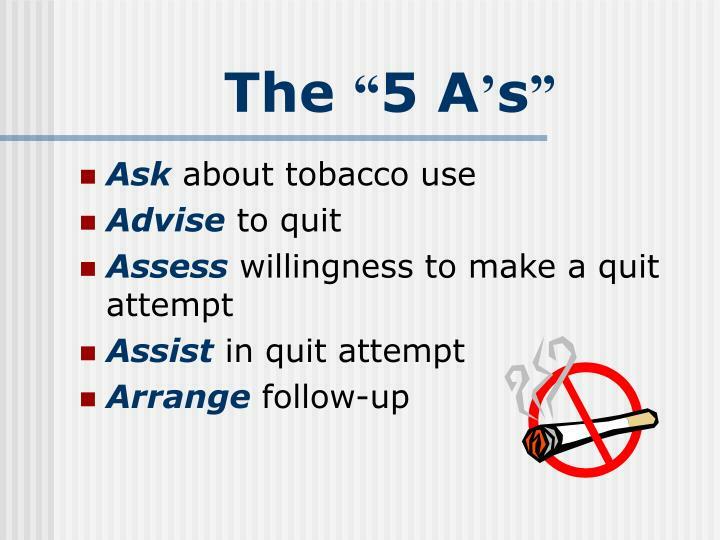 Which of the following statements best describes your cigarette smoking? 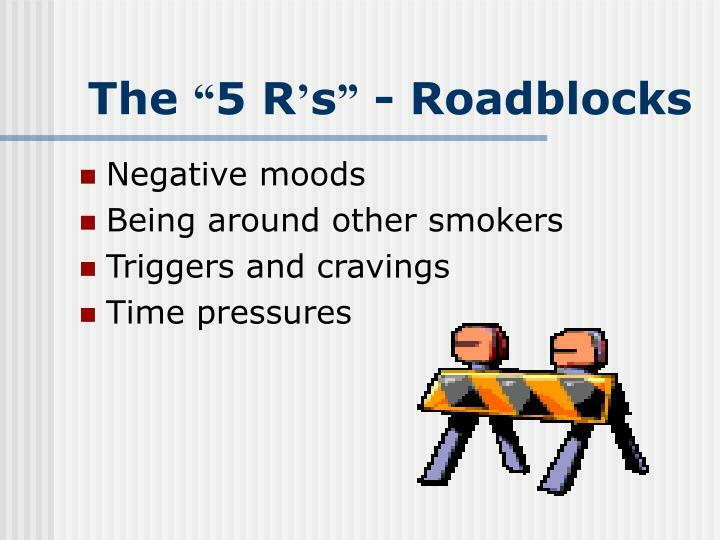 I have never smoked or have smoked fewer than 100 cigarettes in my life. 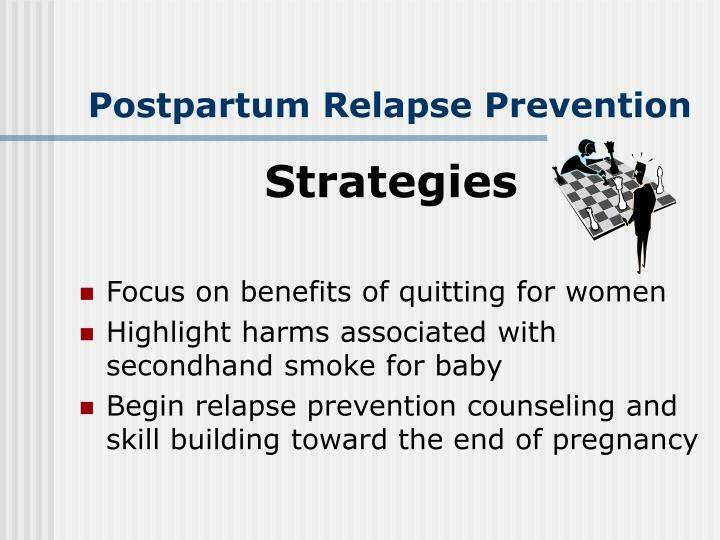 I stopped smoking before I found out I was pregnant and am not smoking now. 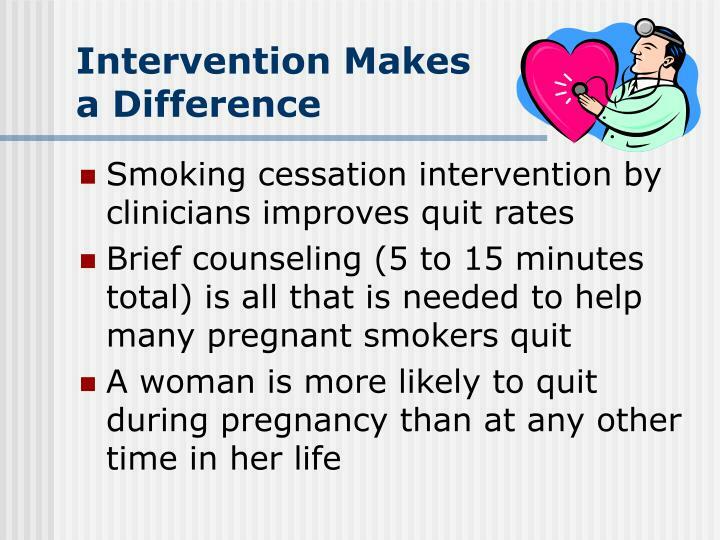 I stopped smoking after I found out I was pregnant and I am not smoking now. 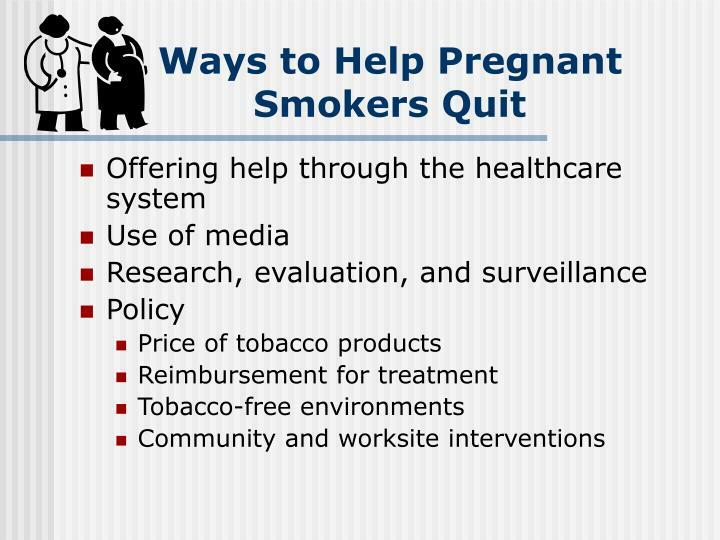 I smoke some now but have cut down since I found out I was pregnant. 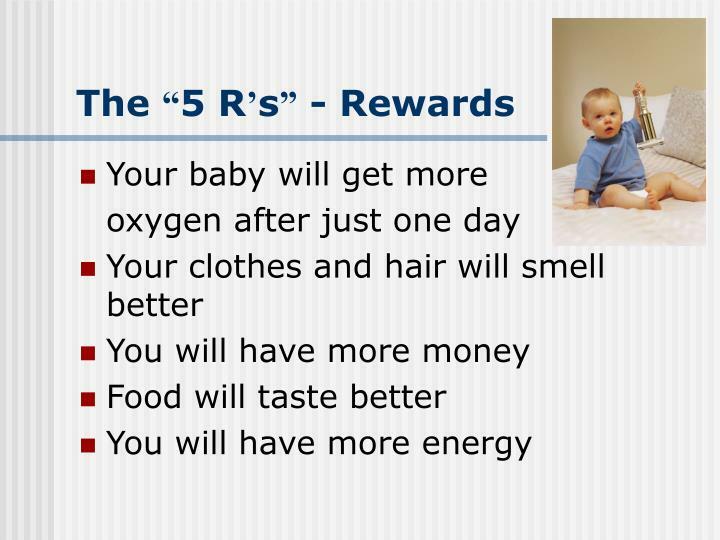 I smoke about the same amount now as I did before I found out I was pregnant. 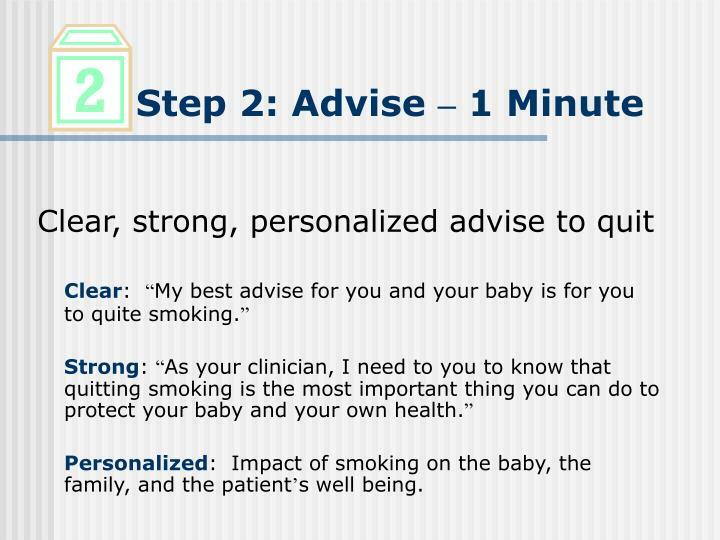 Personalized: Impact of smoking on the baby, the family, and the patient’s well being. 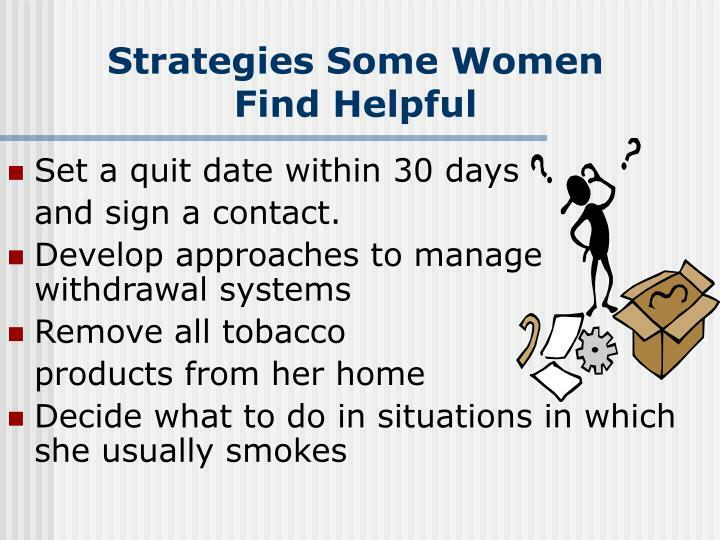 Asses the patient’s willingness to quit within the next 30 days. 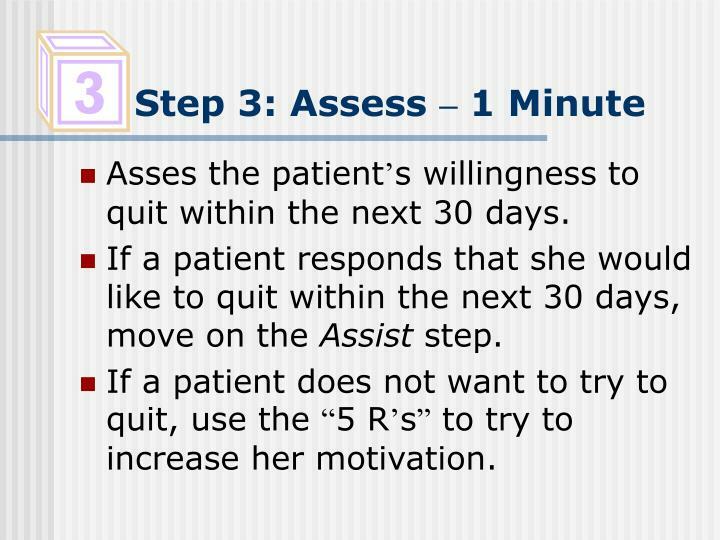 If a patient responds that she would like to quit within the next 30 days, move on the Assist step. 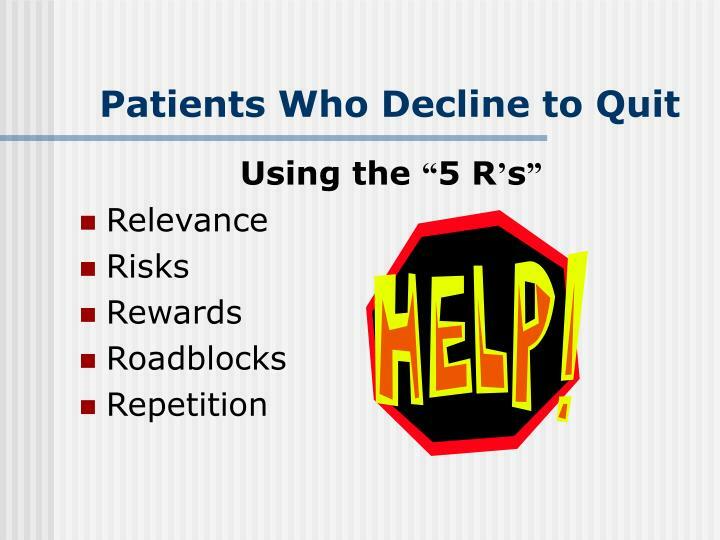 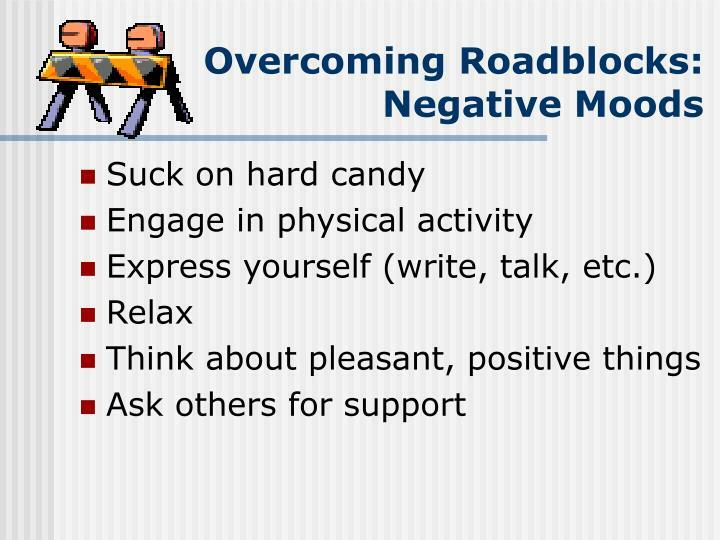 If a patient does not want to try to quit, use the “5 R’s” to try to increase her motivation. 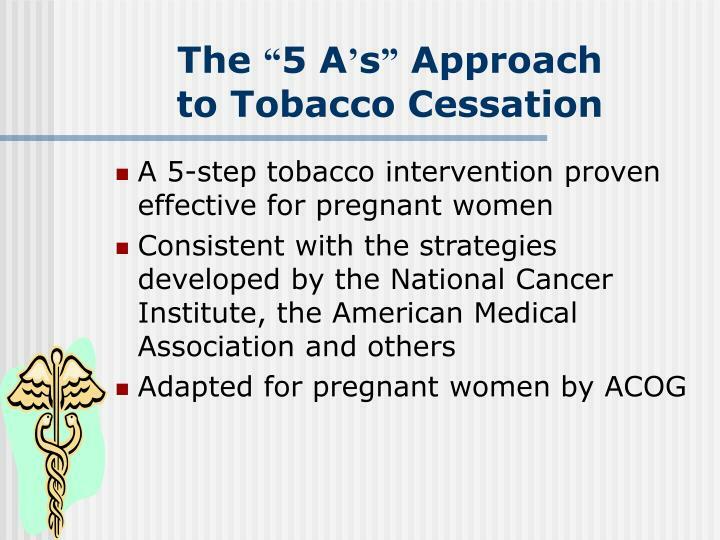 Suggest and encourage the use of problem-solving methods and skills for tobacco cessation. 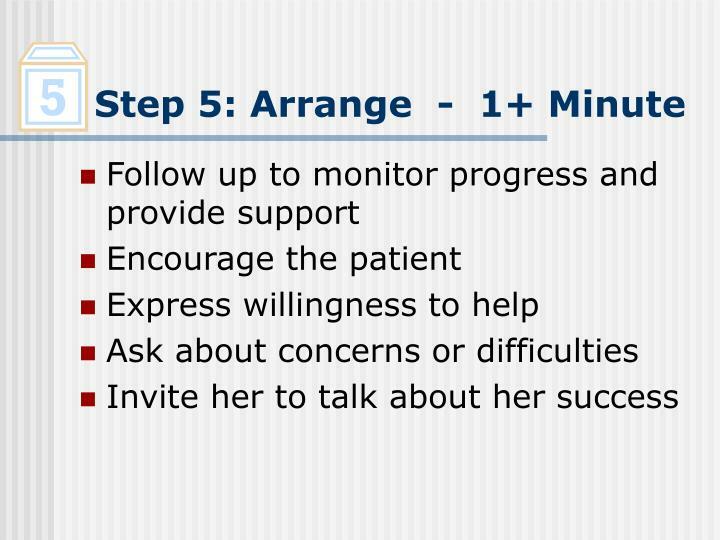 Provide social support as part of the treatment. 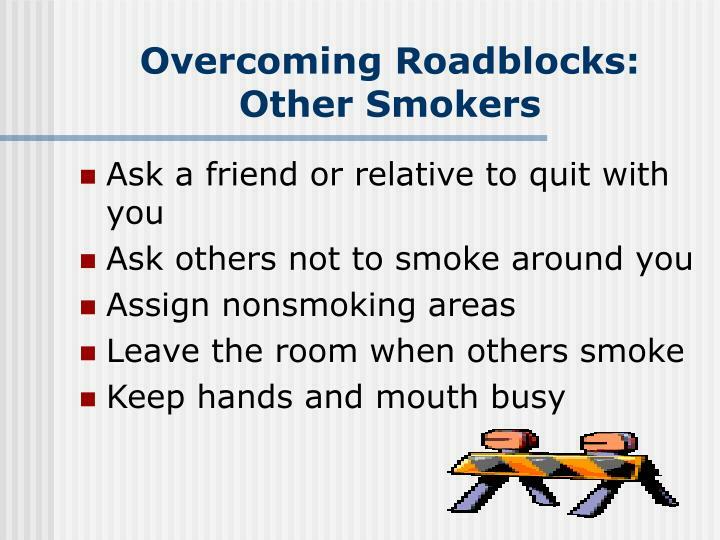 Arrange social support in the smoker’s environment. 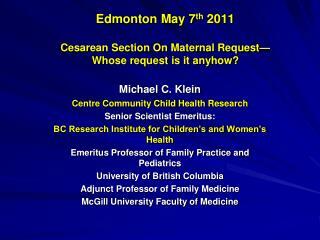 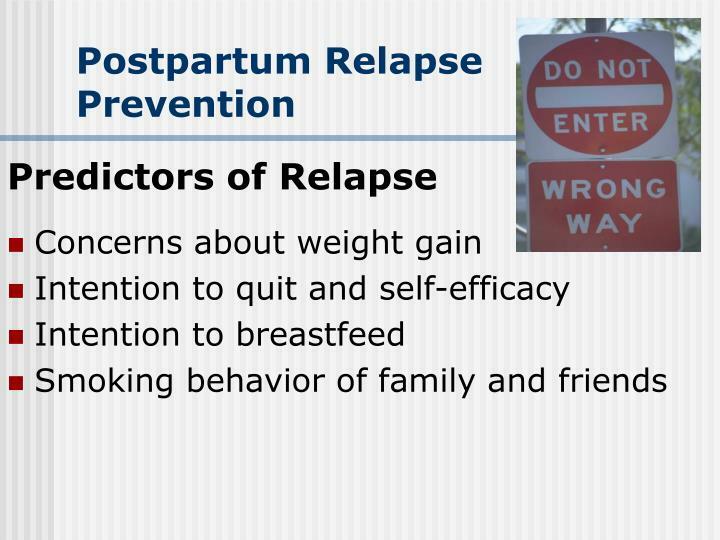 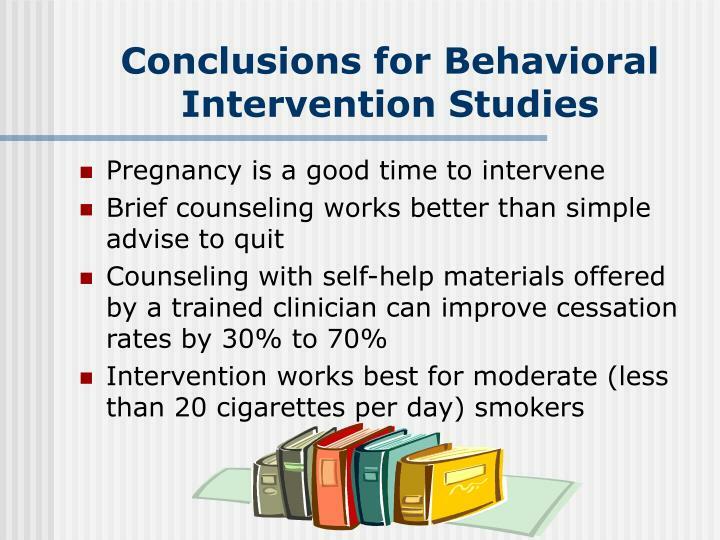 Provide pregnancy-specific self-help smoking cessation materials. 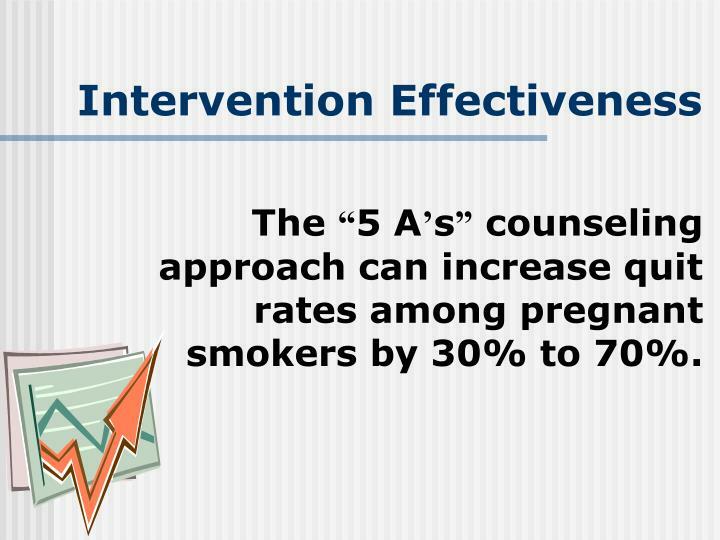 The “5 A’s” counseling approach can increase quit rates among pregnant smokers by 30% to 70%. 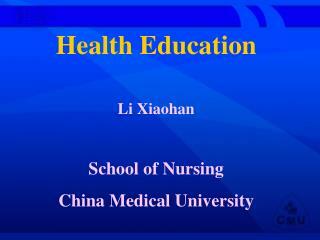 Health Education Li Xiaohan School of Nursing China Medical University -Health education li xiaohan school of nursing china medical university. 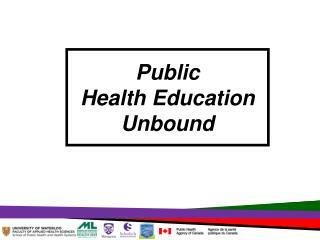 health education. 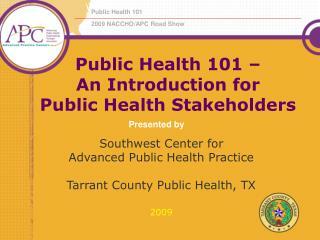 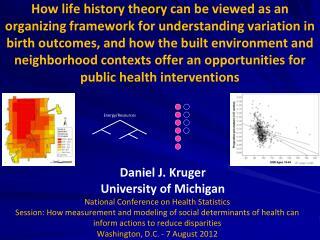 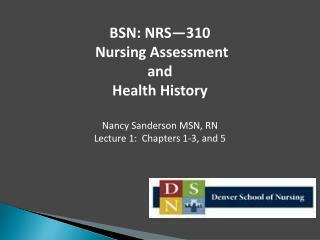 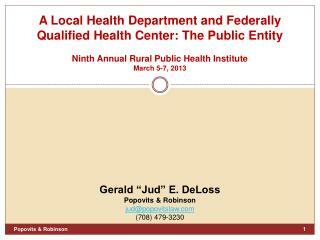 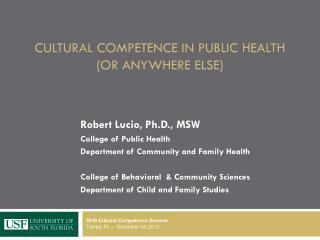 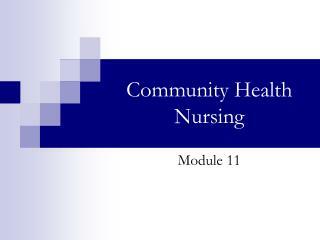 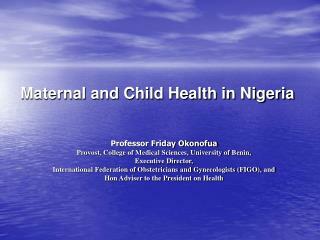 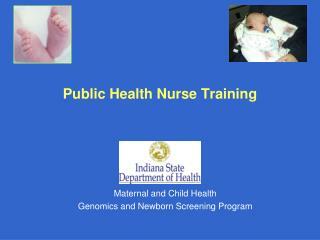 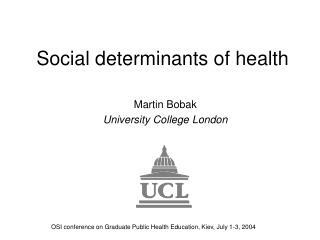 1. introduction to health education 2. behaviors relevant to health 3.